Browse: Home » 2017 » December » 07 » SIGNING THE STATEMENT OF TRUTH IN PRE-ACTION DOCUMENTS: WILL THE SOLICITOR GO TO JAIL OR NOT? SIGNING THE STATEMENT OF TRUTH IN PRE-ACTION DOCUMENTS: WILL THE SOLICITOR GO TO JAIL OR NOT? There has already been some discussion in the Gazette about the judgment in Liverpool Victoria Insurance Company Ltd v Yavuz & Ors  EWHC 3088 (QB). In particular the observations in relation to signature of documents by the legal representative. This has caused me to re-visit earlier posts and cases on this topic. The claimant insurance company were successful in bringing an action for contempt of court against nine defendants. The judge found that the defendants had signed false witness statements, particulars of claim and schedules of damage (in addition to staging faked accidents). At the end of the judgment Mr Justice Warby considered the issue of those documents signed prior to proceedings. “In my judgment, proof that these defendants knowingly made false statements in their claim forms, particulars of claim, and in the schedules of loss and witness statements in the County Court proceedings establishes that each of them is guilty of contempt of court. I am therefore satisfied that Mr Yavuz is guilty of the fourth, fifth and sixth contempts alleged against him; that Mrs Yavuz is guilty of the third and fourth contempts alleged against her; that Mr Sel is likewise guilty of the third and fourth contempts alleged; that Mrs Sel committed the second and third contempts alleged against her. I find that Mr Salman Gulbudak is guilty of the third, fourth and fifth contempts alleged against him, and Mr Mato Gulbudak of the second and third alleged against him. I find Mr Kaya guilty of the second and third contempts alleged against him. Ayten Kaya and Gunes Kaya both committed contempt in the two respects alleged against them. In preparing this judgment, although no issue was taken about it at the hearing, I have been left wondering whether the same is true of the January 2012 Statements, or the other witness statements made before proceedings were issued. It is not obvious that witness statements of this kind are documents falling within the scope of CPR 32.14, or the doctrine of contempt of court. Not only were there no current proceedings, I have not been shown any rule or Practice Direction that requires such a statement to be made or, if made, to be verified by a statement of truth. It seems to me at present that CPR 22 is directed at witness statements within the meaning of CPR 32, namely those which are to stand as a party’s evidence in legal proceedings. I have similar reservations about the initial, pre-action schedules of loss. It is clear that the CPR require verification of such schedules when they are attached to the Particulars of Claim pursuant to PD16 4.2, but it is less clear that this is so as regards a pre-action schedule. I do not think it desirable to express a conclusion on these issues in this judgment, having heard no argument about them from either side. I am willing to hear such argument. But I do not think I necessarily need to resolve the issues, because I do not believe that any doubt over these questions is likely to affect sentence. Lies told before the actions began can be treated as aggravating features of the contempts that were later committed, as part of a course of conduct. There is a related question which, again, does not affect sentence. It is not a part of LVI’s case, but it is a necessary implication of that case, that false statements which these defendants did not believe to be true were made on their behalf in another class of documents verified by a statement of truth, namely the CNFs filed for them through the online portal. The statements of truth on those documents were made by their solicitors. I do not propose to make any findings about this. I mention the matter only because some evidence was led about these CNFs, which led to me query whether contempt proceedings could be brought in respect of such a statement. I express no view on whether this is desirable, but note that it must be the case that many RTA claims are resolved without proceedings, on the basis of CNFs in Form RTA1. Practice Direction 51S – The County Court Online Pilot. This makes it mandatory for the legal representative to sign the statement of truth on issue, with a stark reminder that the signatory can be committed to prison if they do not hold an honest belief. That is this section from Practice Direction 22 – Statements of Truth. “3.7 Where a party is legally represented, the legal representative may sign the statement of truth on his behalf. The statement signed by the legal representative will refer to the client’s belief, not his own. In signing he must state the capacity in which he signs and the name of his firm where appropriate. They are authorised to sign the document. That the solicitor has told the client that they would be confirming on the client’s behalf that the document was true. That the client had been told of the consequences if the statement is untrue (which include the fact that the client could go to jail). Added to that the Online Pilot Practice direction imposes a specific duty that the person signing the statement should have an honest belief that the statement is true. How a solicitor proves an “honest belief” is far from clear. There is no guidance as to what steps the solicitor must take in order to come to that belief. A failure to comply with Practice Direction 22 could support an assertion that there was a lack of honest belief. A failure to obtain proper authority to issue could well amount to a lack of an honest belief, see Bao Xiang International Garment Centre -v- British Airways PLC  EWC 3071 (Ch). There are examples of statements being signed in circumstances where judges have held that the solicitors could not have had the requisite knowledge. If there is a dispute about the truth of a document a solicitor/client relationship is fraught with problems. If the solicitor states that these steps were complied with then the client could be in serious trouble. If the client states that these steps were not complied with then the solicitor (and potentially the client) could be in serious trouble. If there is dispute about what information and advice the solicitor gave to the client then there could be a whole lot of trouble. At the very least the advice and information given should be recorded in writing. Andrew Parker on Beauty is truth. The profound lack of wisdom in signing statements of truth on behalf of your client. Signing disclosure statements? Remember you can go to prison. Pleadings, the statement of truth and contempt of court: useful guidance from RPC solicitors. 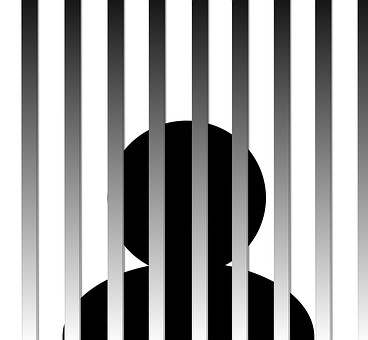 Witness statements and avoiding jail: are you protecting your clients and protecting yourself? Schedules of damages, wasted costs and the statement of truth.